Former three division world champion and Mexican Olympian Abner Mares received the news that he can resume his training, The announcement by the specialist came 50 days after undergoing surgery on his right eye that did not allow him to enter the ring on February 9 against Gervonta Davis. 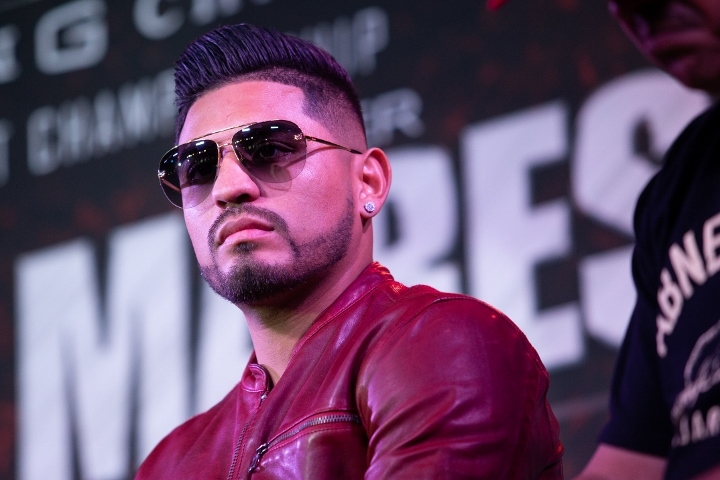 Mares trusted that everything would turn out well after the surgery to be able to continue in professional boxing, but ruled out that he will rush his return. "They gave me the news that I can return to my normal activities," Mares told ESPN Deportes. "They even told me that I can go back to training, to running, he only warned me that I can not do sparring, I have to avoid strong contact because they are going to do another revision at the end of April and then they will tell me what is appropriate." At 33 years of age and professional record of 31-3-1 and 15 knockouts, Mares is pleased with the news. "It's great news. In fact I have no problem with it, because when you start training you do not go sparring immediately and I have no problems with it, the best thing is that everything is going well," said the former bantamweight, super bantamweight and featherweight champion. Mares was going to fight with Davis in Carson, California, but in the end the eye injury would not let him and Gervonta ended up knocking out Hugo 'Cuatito' Ruiz in a single round to keep the super featherweight championship of the World Boxing Association. Because he needs to follow a medical plan, Mares is unable to predict when his return will take place. Mares still wants to pursue the opportunity against Gervonta, because a victory will allow him to become a four division world champion. And there are still numerous possibilities for him in the featherweight division.